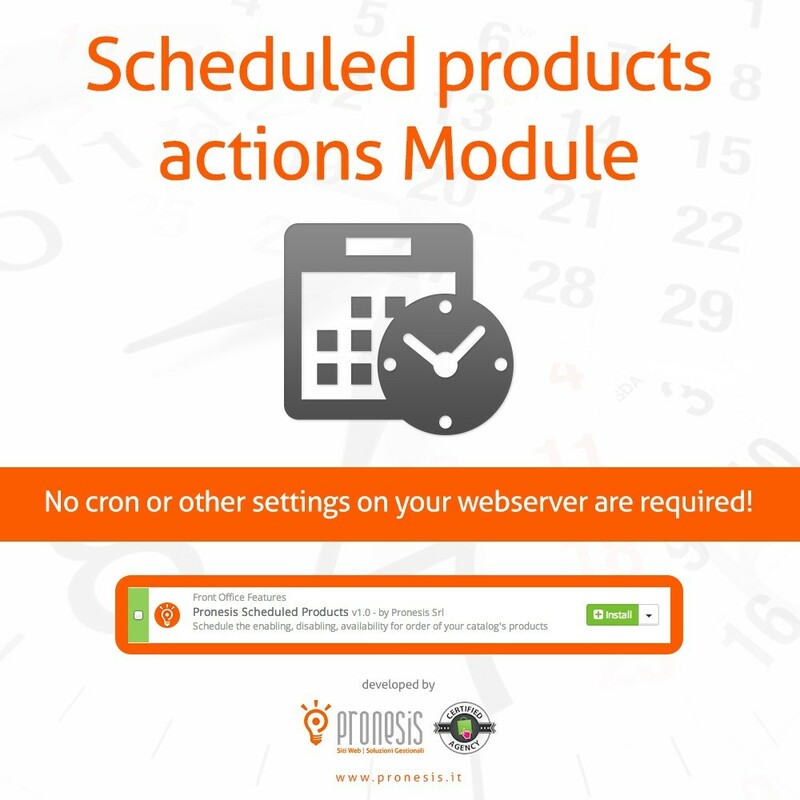 This easy to use module is the best tool to let products be available for order, and enable or disable their visibility in the shop at a specified date and time. Imagine you have a hot release product and you want to let it be visibile but not orderable by customers, and schedule automatically the time when the products will be available for order. 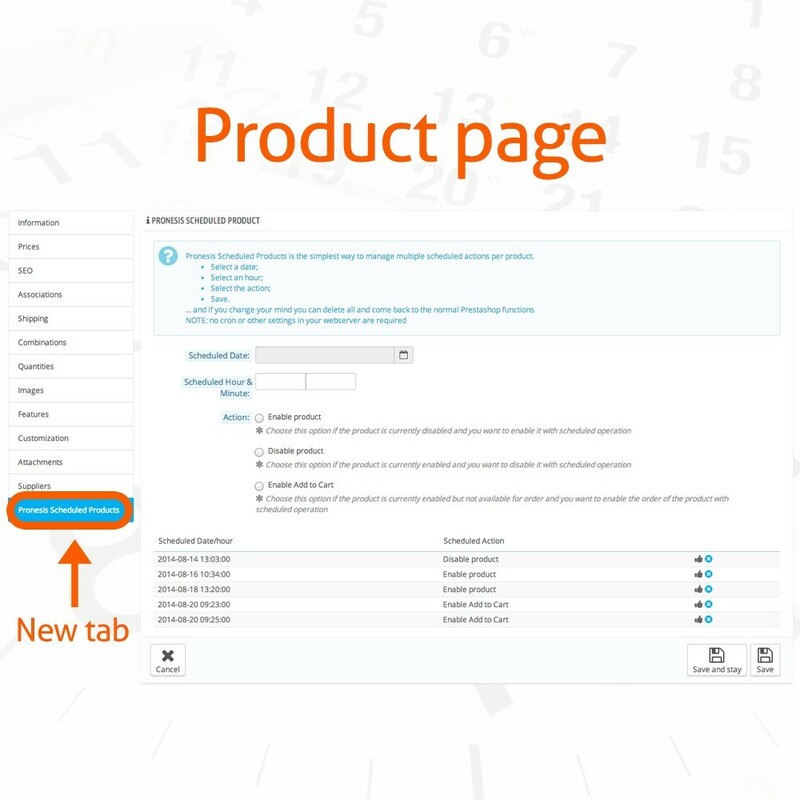 You can schedule more actions on the same product, at different date and time. 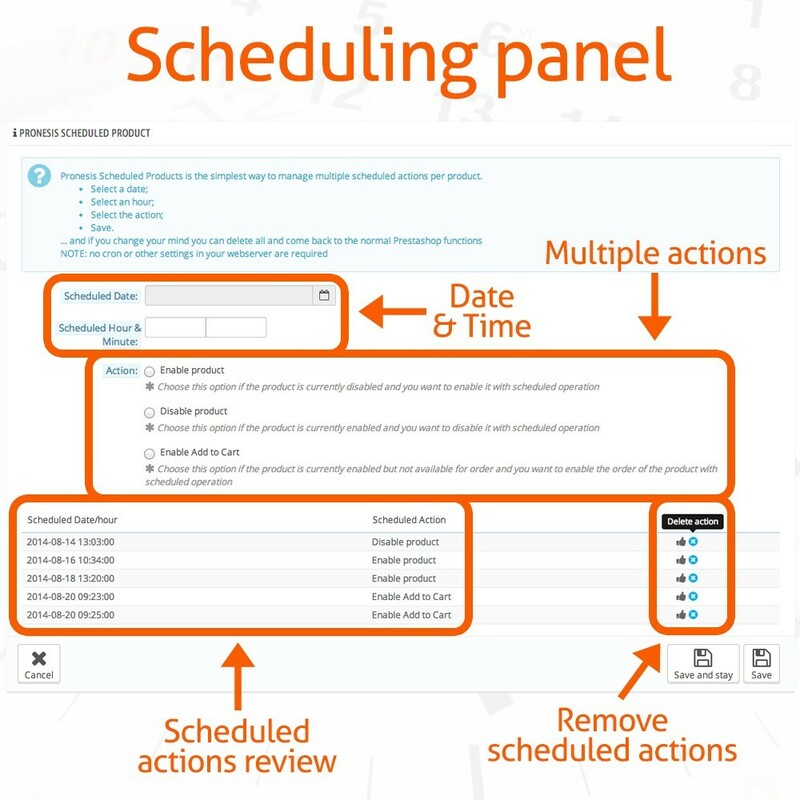 You can easily review the scheduled actions and remove them from the planner at any time. The module doesn't require any special configuration or tools (like cron)!